The Spartan is a staple in the vape community, known for enriching flavors and producing a throaty hit that leaves the customer satisfied. Paired with the Spartan is the magnificent ECU23 Box Mod or the ECU40 Box Mod depending on your choice of color and wattage preference. Together the two bring nothing but quality and fulfillment. 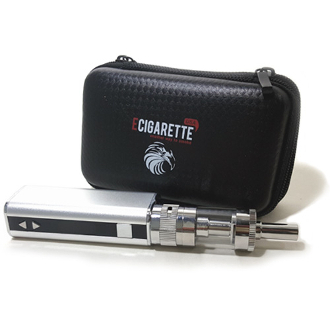 The Spartan is a dual coiled clearomizer that holds an impressive reservoir of liquid. The coils are known to last for a very long time between replacements and hold excellent flavor. The ECU23 Box Mod and the ECU40 Box Mod amp up the flavor with their variable wattage features. They can be charged and vaped at the same time for a heavenly and quick access experience.